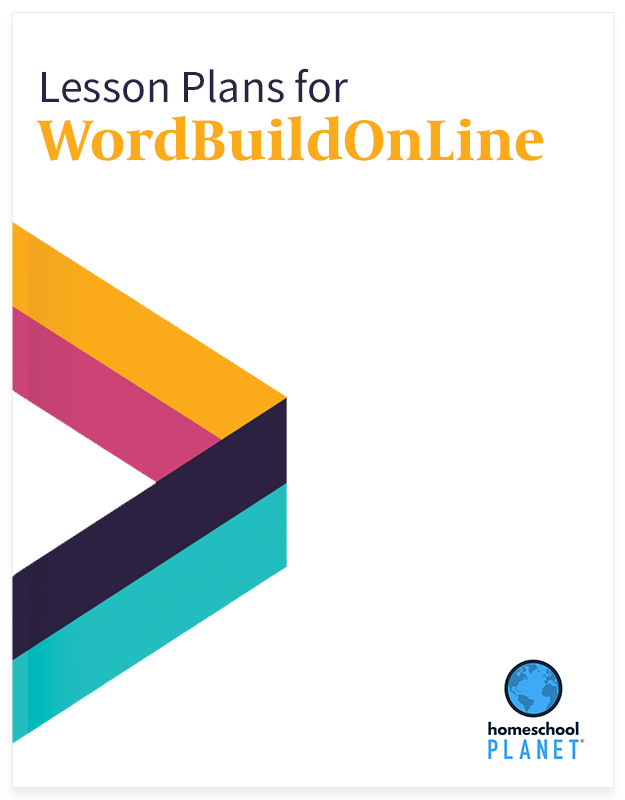 Take full advantage of your WordBuildOnLine curriculum with these official, publisher-created lesson plans for use with your Homeschool Planet subscription. 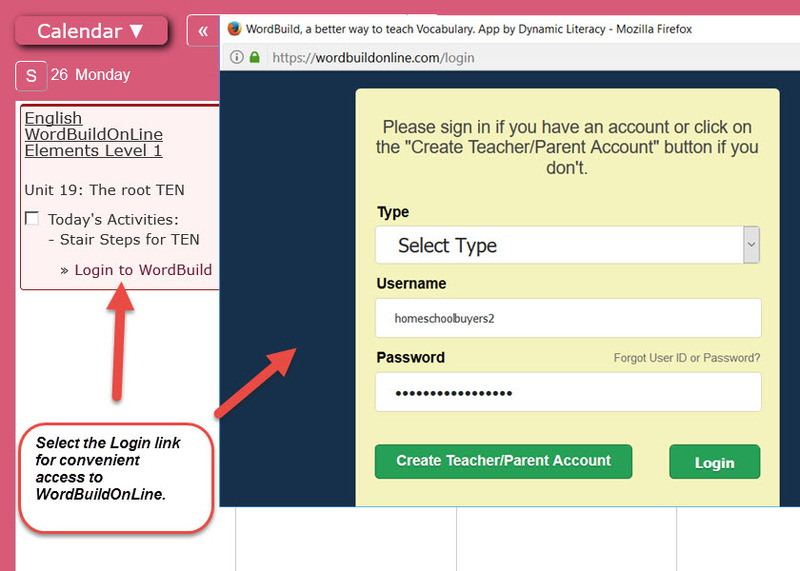 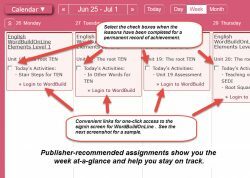 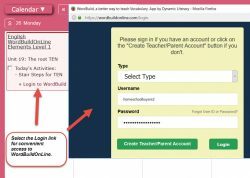 Each lesson plan shows you exactly what your child should be doing, and when, and includes convenient one-click access to your WordBuild Online account. 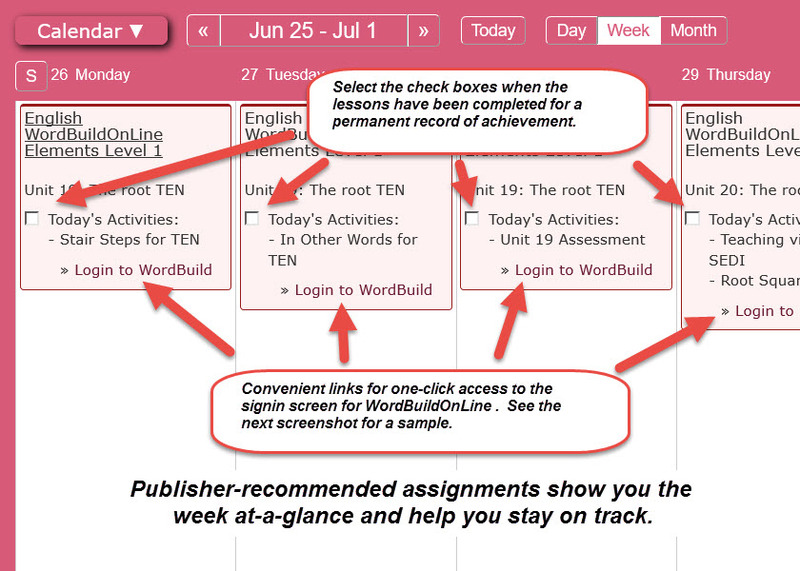 Lesson plan bundle includes ALL WordBuild Online lesson plans.